October 2015 – Havering & District Amateur Radio Club. 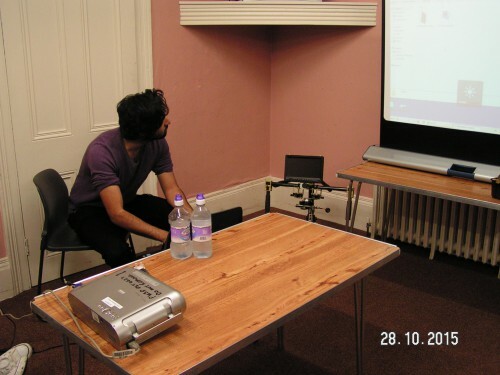 We were delighted when Shahid Banglawala agreed to break his busy schedule and pop in and give a talk on Octo and Quad copters, 8K and 3D video and his rise from humble student to world renowned Octocopter pilot. Now his name appears in the credits of some of the most spectacular aerial photography. For those who wanted to get their fist insight into Aerial Cinematography or seasoned pro photographers wishing to pick up tips this was one not to be missed. From an amateurs point it also opened doors to flying a wire antenna or gentle placing wires in tree’s before ejecting the payload. Pictured here with a ground mounted Gimble. Brilliant talk, encapsulating the skill required to fly in the darkest caves of Borneo and 20 feet above the ground in Austria. 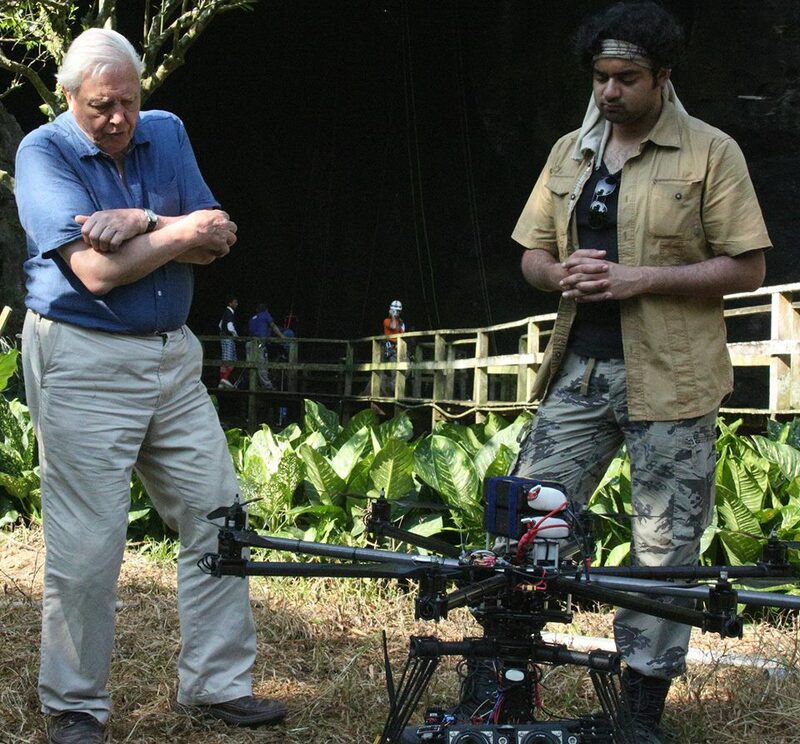 Back from his recent work filming the aerial photography for Sir David Attenborough’s Conquest of the Skies.